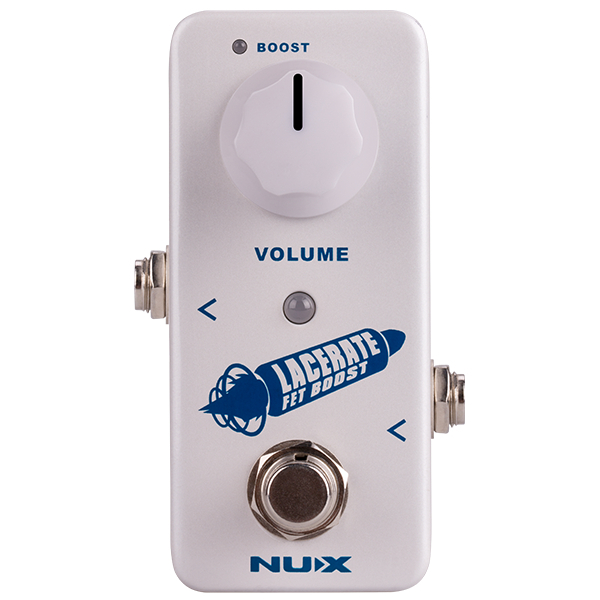 Nux Mini Core Laceret FET Boost Pedal., Newark Musical Merchandise Co.
Lacerate is a mini pedal with a huge boost! The unbelievably simple user-interface comes from our complex Dual FET Circuit Design, but don't worry about what's under the hood. 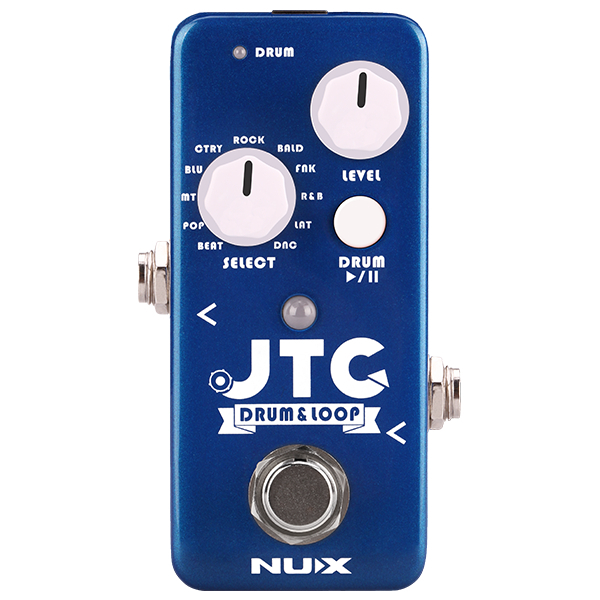 Just enjoy the 1 Simple Control-Knob, 2 Boost Options, and 2 Bypass Modes. In the Clean mode, Lacerate only boosts the signal, increasing the volume without any sound colorization. For this reason, Lacerate is one of the cleanest "clean boost" pedals available. If you want fat , harmonically rich boost tone, just hold down the foot-switch (1 second) to engage the 2nd stage which adds your overdrive tone. Most boost pedals will only yield about + 20dB maximum, but Lacerate`s Crank mode gives you a whopping + 35dB . From average to huge! Lacerate has an integrated voltage-doubler which automatically changes 9V to 18V giving you ginormous headroom and dynamic. WARNING: To avoid damage to voltage doubler circuit, please ONLY use 9V Power Source. It will handle the conversion. Doubling the voltage to 18V gives you better dynamic, but it also creates a better headroom buffer. A lot of professional guitar players start their signal-chain with a stand-alone buffer.